As a part of my Zero Waste Journey, I have been trying to reduce the number of things I need to purchase premade. MY goal is to either purchase them in a glass container that can be reused or recycles. The other option is to make it myself! 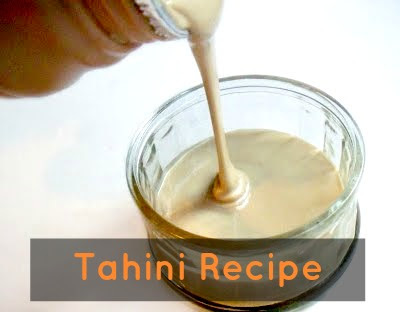 Most of the options for tahini are either sold in plastic containers or are extremely expensive. So then I decided to learn to make it by myself. If I was being honest, tahini is a huge staple in my diet. I use it at least once a day. Between salad dressings, hummus, and a verity of other dishes I go through a ton of it. To my surprise, it was actually really easy to make. Tahini is essentially a sesame seed paste. Sesame seeds can be easily purchased in the bulk section at your local grocery store. If you tried this recipe and loved it or have a suggestion for improvements, let me know in the comments below!